Congratulations to all three schools which made the All-Ireland finals. Ulidia won their final against St. Aloysius College while St Malachy’s and St Columb’s had very exciting games which were decided in the last seconds. Below are reports from various sources which are listed above the game report. Ulidia Integrated claimed the U19C Girls Cup on their return to All-Ireland basketball with a 68-49 win over St. Aloysius College, Co. Cork. Ulidia Integrated were in double digits before St. Aloysius had scored from open play. Michelle Courts had the first two baskets of the day before the sororal duo of Anna and Enya Maguire hit their scoring groove. The Ulidia students were pushing the ball with precision and pace and were in control leading 16-9 after 10 minutes. What St Aloysius had was guts. Through sheer work rate they created opportunities for Sorcha Phelan and Jessica O’Neill. Their efforts were causing foul trouble for Ulidia and allowing Niamh Murphy and Ciara O’Doherty to pick off points from the free throw line. Ulidia were still shooting themselves clear of trouble, Enya Maguire crabbed left to drain a three-pointer before quick thinking off the inbound allowed Grainne Twomey to reduce the gap to 33-19 at half time. St Aloysius couldn’t contain Ulidia early in the third quarter. Grace Kennedy was heating up before the Maguire sisters made big threes. Suddenly, St. Aloysius starting launching the ball and making gains in transition. Jessica O’Neill pulled up before the buzzer to hit a jump shot at the elbow. With 7:40 left in the game they had reduced the deficit from 28 points back to 16. Coach Gareth Maguire knew the game wasn’t over and called a time out and Grace Kennedy’s role in the response earned her th e MVP award. 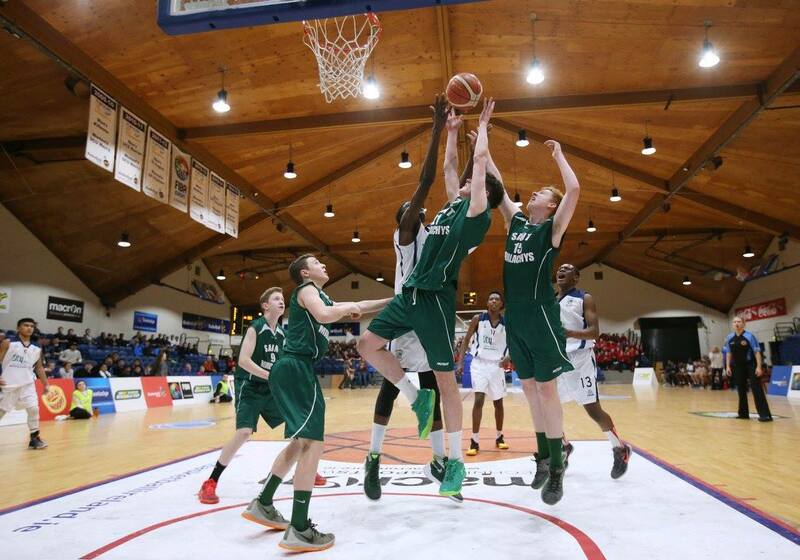 A monster block from Amadasun rejected Malachy’s first attempt at a game winner. They thought they had done it when Matthew Mulholland found the net but his last-gasp attempt was a fraction too late. It was a two-possession game throughout the 40 minutes and the sides were still level with less than one minute remaining. Castleisland had early control on the offensive boards but that hadn’t registered on the scoreboard until Shane O’Connell got closer to the basket. By then, St. Columb’s registered three-pointers from Danann Coyle and Kevin Brady. Joe McGinley followed up with a strong drive from the half-court but it was back to 12-6 when O’Connell slipped the ball inside to Eoghan Browne just before the first quarter buzzer. St Columb’s looked to penetrate more in the second period with Jack Knox making gains while Castleisland were happy to lurk at the perimeter. They book ended the quarter with three-pointers from Alex Fleming and Padraig O’Connell and Shane O’Connell took his tally to eight points for the half on a 9-4 run. It was 20-20 at the break and the sides were still tied at 32-32 10 minutes later. 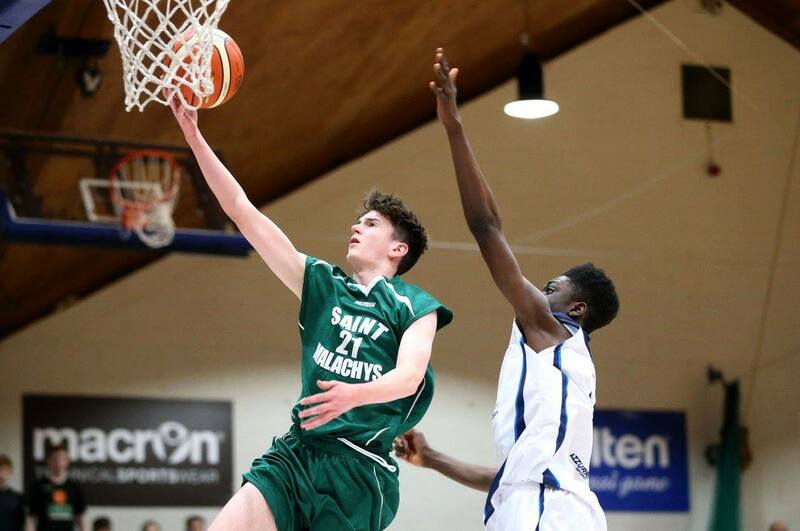 Ireland U16 International Ryan Whoriskey came into the game with a couple of baskets while Castleisland’s usual suspects kept them in the hunt. It was a game of small margins, so it was going to take some big shots to win it. 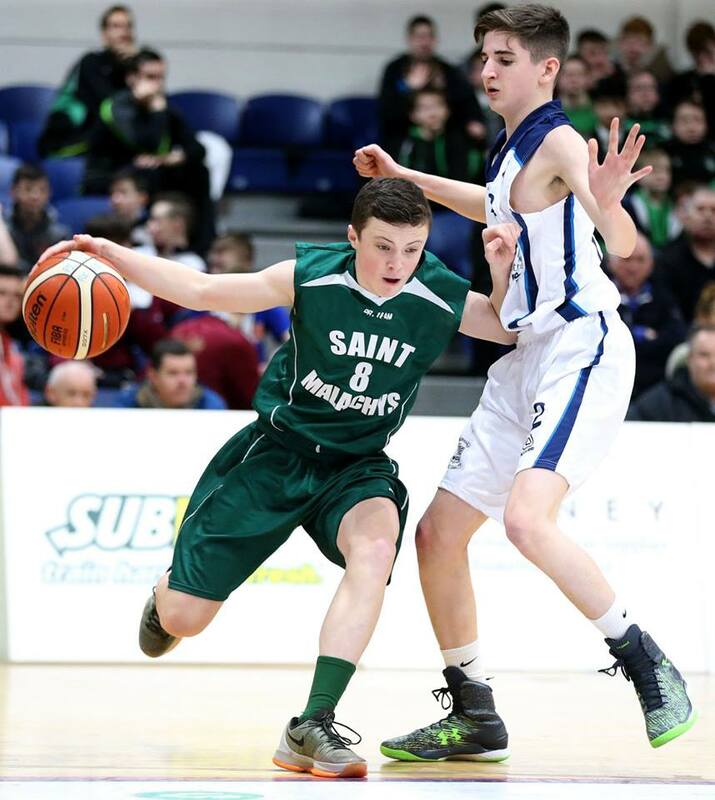 Nathan Nolan’s big three-pointer had game winner all over it but there was still time for St. Columb’s to hit back through Coyle and Whoriskey. The big opportunity didn’t fall to Padraig O’Connell – he created it. The young substitute created space with a pump-fake before shooting for two with 22 seconds left and Jonathan Hilliard sealed the game from the free-throw line.